Many of us carry our "office" with us when we drive from place to place. Whether it is for sitting in a park and working on things away from the office, or simply to keep things organized for work. The brief case is not always the best way especially if you have some bulky items, and want to be able to grab things on the go. If your front passenger seat has become your office, you know what can happen when you have to suddenly turn or stop fast, all those papers end up on the floor and then you get distracted trying to stop them from flying around. Simply opening your window for some air might be enough to send things flying which can cause a lot of frustration. 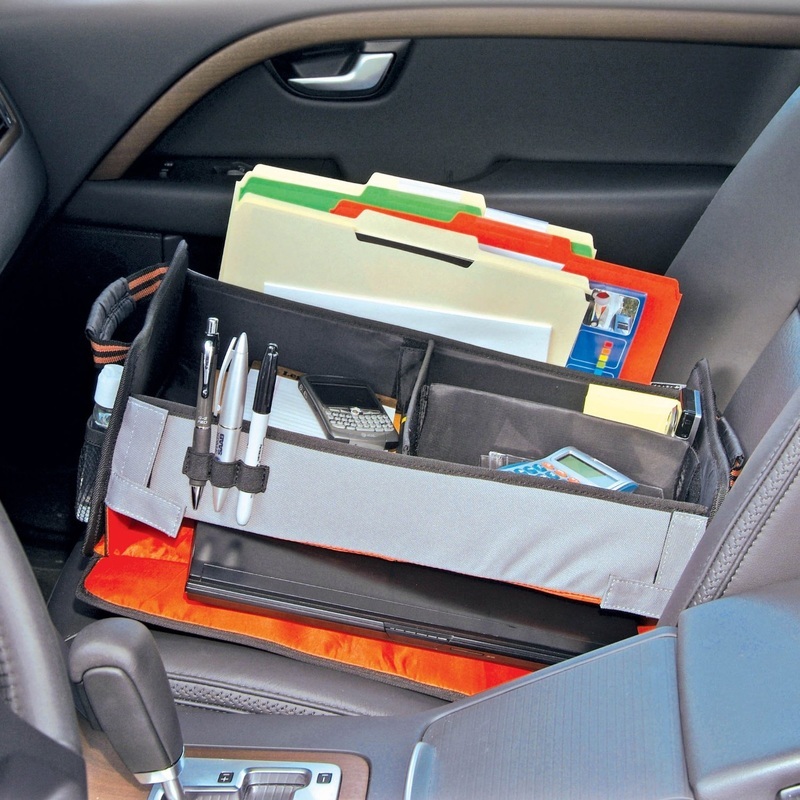 Here are some suggestions for keeping your car office organized and neat. You can invest in these specific containers and see many of them online. This is a cheap investment for the sake of flying papers and pens in the car! This is perfect for grabbing things on the go. No more searching for pens or stick it pads. If you stop somewhere in your car you can find all your files and do some work without them flying all over the front seat. Pens have a habit of going down the back of the seat never to be seen again. Keep your eyes on the road while driving and don't worry about what is happening to your office work and supplies. Can fit on the front or back of the seat. 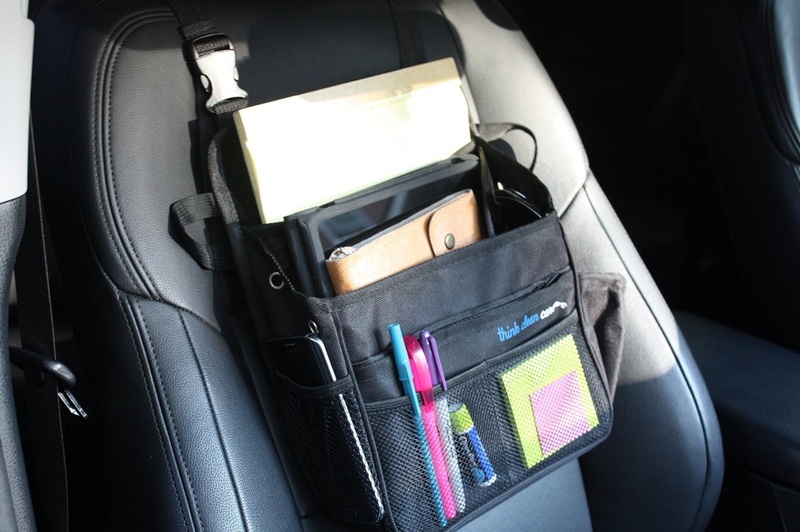 This fits on the passenger seat and has lots of storage plus a flat surface for your laptop or for writing. 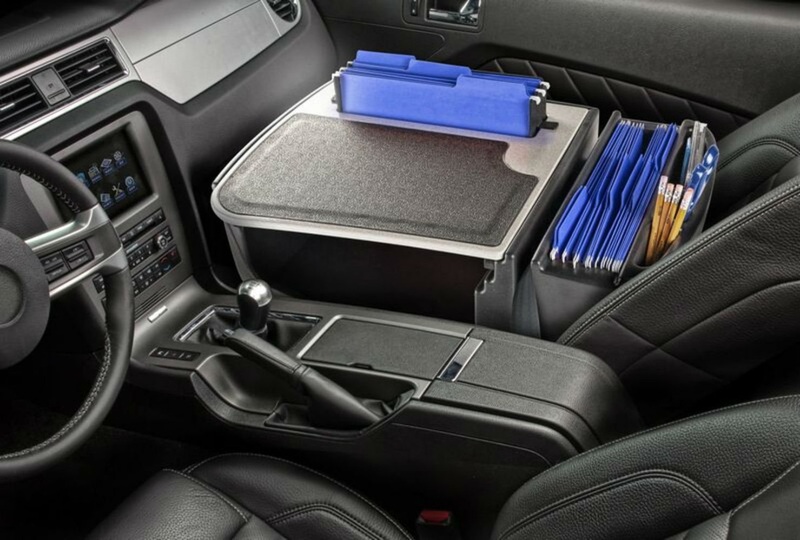 If you do everything in your car and love to park somewhere and do some work, then this office in a box keeps everything you need at hand. All your files and plenty of storage for smaller supplies. No more flying off the seat or losing supplies. This is a slightly different style of the one above, and does fasten in with a seat belt. It only weighs 14 pounds making it a great portable and mobile office. If you are on the road all the time for work, then having a mobile desk makes it easy to take in and out of the car. Set up in a hotel or even a picnic table without losing any supplies or files. There is a storage area under the firm surface too for storing valuables, keeping them out of sight while away from the car. 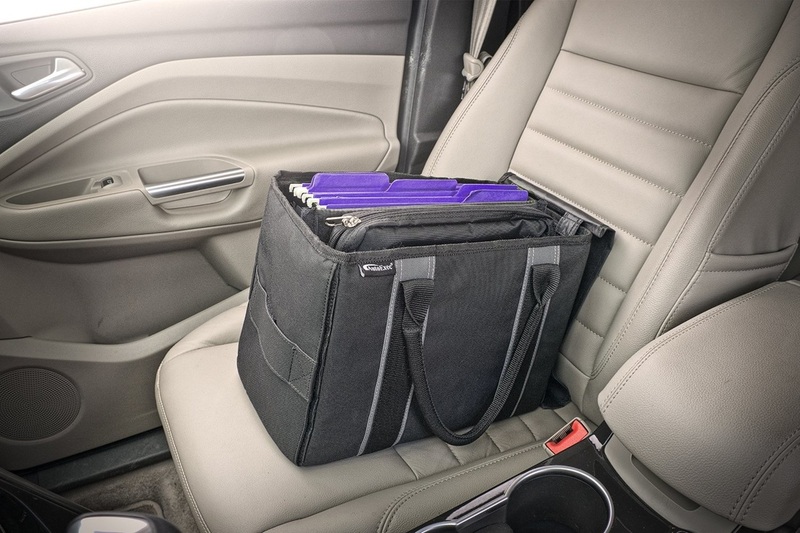 If you are looking for something more portable that can go from your car to the office and back again, this office tote might be the answer. It is like a mini filing cabinet for all your work files. You can sit it on the seat and be able to find files right away. With strong tote handles you can quickly grab it and leave the car. Keeps all your papers and supplies safe. This office organizer has side handles for taking your office in a box out of the car. If you need to carry other things besides file folders, then this one has more compartments, and places for pens and supplies. Having separate compartments makes it easier to find things quickly. Laptop Holder is perfect for anyone on the road. If you work from your car, then doing work on your laptop doesn't mean hunching over the passenger seat or balancing it on your knees. 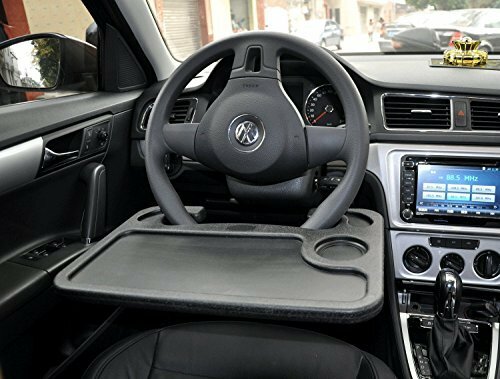 You can quickly attach this tray to your steering wheel (once you are parked somewhere) and it can be for everything from lunch to work. Combine this with any of the car office storage systems above, and you have everything you need to work from your car especially when you are on the road. This comes off just as quick and can be stored. What if you just wanted a place for a few things? Maybe your cell phone or pen or a file or two but laying loose on the front seat was not an option? This pocket will actually fit down the space between the seat and the console. This give you more room for things that tend to go flying off the seat. You can put one on either side of the console and double the room. Great if you just want to store a few things where they are handy to find.